Welcome to the private tour on Koh Samui with the best guides of the island! Preliminary personal meeting or discussion on the phone the forthcoming journey with the map of the island. We get acquainted, find out all guests’ interests, choose sights to go, and appoint date of the tour. You will travel by the air-conditioned minibus with a professional driver and an English-speaking guide. We offer you to finish your fascinating tour with a delicious lunch or dinner at one of the best restaurants that will be chosen according to your wish. Phra Yai Temple with Big Buddha statue (the tallest statue on Koh Samui, it was built in 1972). On the territory of the temple, you rn have your fortune predicted with the help of ‘Siamsi’ sticks, sign one of the facing bricks for the temple, or go around the Buddha statue clockwise and ring the line of bells with a big stick to ‘improve your Karma’. Chinese Temple of Guanyin with the Chinese Goddess of Mercy and Compassion who has 18 am. The buildings of the temple are very colorful and they are spread on the small islands of the artificial lake. Here you can feed the catfish (actually it is better to feed ‘fish of happiness’ – colorful carps, but waterlogging resulted in the extinction of all carps and breeding the catfish). On the territory, there is a temple with pictures of Buddha life. If you like trekking, we can go for a small walk near Hin Lad waterfall with a small temple not far from the waterfall. Cultural center Dhewa Samui (you can put on national clothes and take a photo) in Lipa Noi. There are many interesting exhibitions. Recently, a new flower garden with orchids and an aviary with peacocks (that can be fed with bread) have been opened. You will be offered a cool blue tea that changes its color if you add a fresh lime juice. Relaxation and lunch on the beach at The Five Islands restaurant or any other restaurant to your choice (please inform us about preferred cuisine and location beforehand, we can have lunch somewhere else). 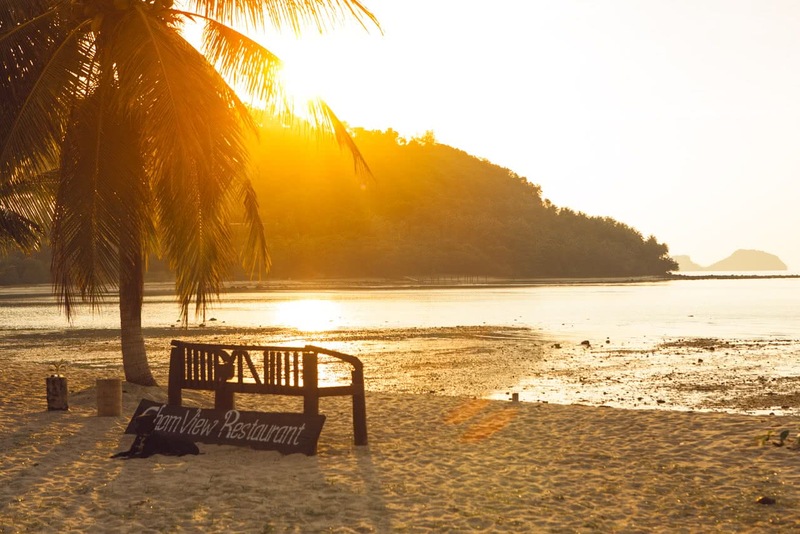 More details on Samui’s restaurants you can find below. Elephant’s gate and Kiri Wong Karam Temple with the second, ‘non-touristic’ mummified monk. Visiting of the pier at the Intercontinental hotel in Taling Ngam (stunning view over Five Islands). Golden Pagoda at the seashore and Khao Chedi – a unique temple where, according to the legend, the remains of Buddha are kept. There is a statue of Baby Buddha – an extraordinary baby who just after birth began to walk and speak. The highest waterfall on Koh Samui Namuang 2. You will drive up the hill by 4×4 jeeps. If you wish, you can have elephant trekking and visit the animal show. Magical Garden and Signs of the Zodiac (sculpted images of zodiac signs with a beautiful view). Chinese Temple in Hua Thanon, dedicated to the Chinese military commander – Guan Yu (years of life 160-219). He became famous for his courage and loyalty to the emperor. In 219 Guan Yu with his son, and squire were beheaded. </ span> Now he is usually depicted with a red face, green clothes and a Guan Dao in his hand – a pole with a wide sword at the end, his invention. Guan Yu is a character of Chinese folklore embodying fidelity, honesty, and justice. He is considered to be the god of war and rain, the patron of the sellers of tofu cheese and the patron of writers. Samret Temple with the secret chamber of Buddhas. Grandmother and Grandfather rocks at the sunset. If you are traveling with children, we can visit Paradise Park or small ‘Jurassic Park’ with sculptures of dinosaurs. Recommended restaurants: The Cliff, Barracuda, The Larder. Or you may like the restaurants in the hotels Six Senses, Four Seasons or Zazen. Reviews for "Private tour “Magical Koh Samui”"